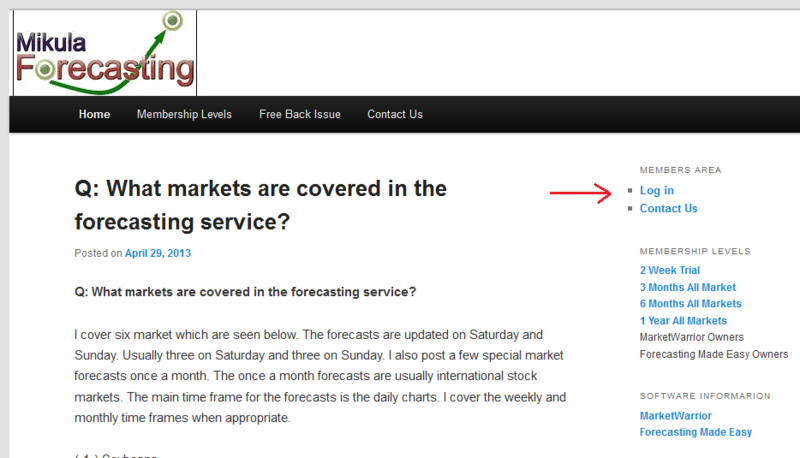 After you sign up for a subscription to Mikula Forecasting Service, you will need to log in and use the web site. This web page will describe how you can use this site. (-1-) Before you log-in, the web site will show the menu labeled, ‘Log-In.’ Click This link to open the log-in page. (-2-) After you log-in, you will see your profile page. 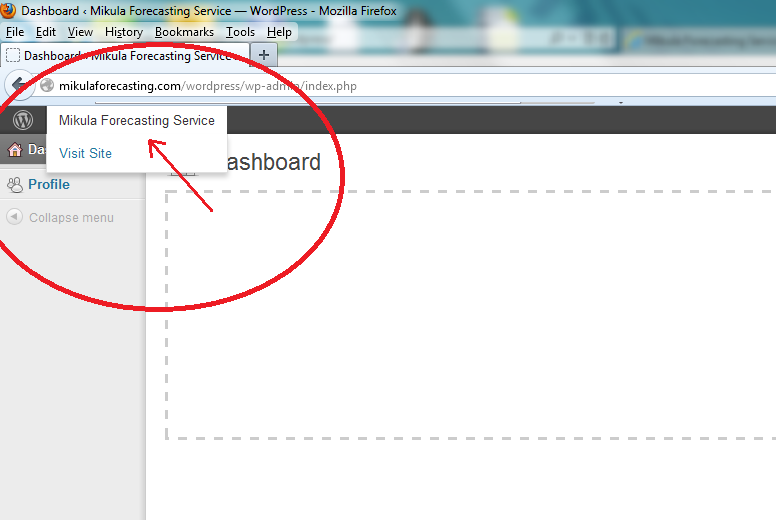 Our forecasting service site is hosted by WordPress so you will see two WordPress pages. The first is the profile page which is shown below. This page is where you can change your screen name or password. 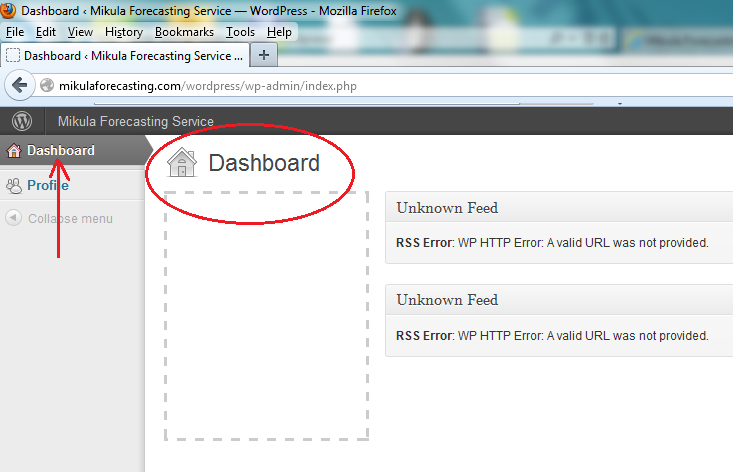 (-3-) The next WordPress page is the Dashboard. This page does not have any settings and can be ignored. 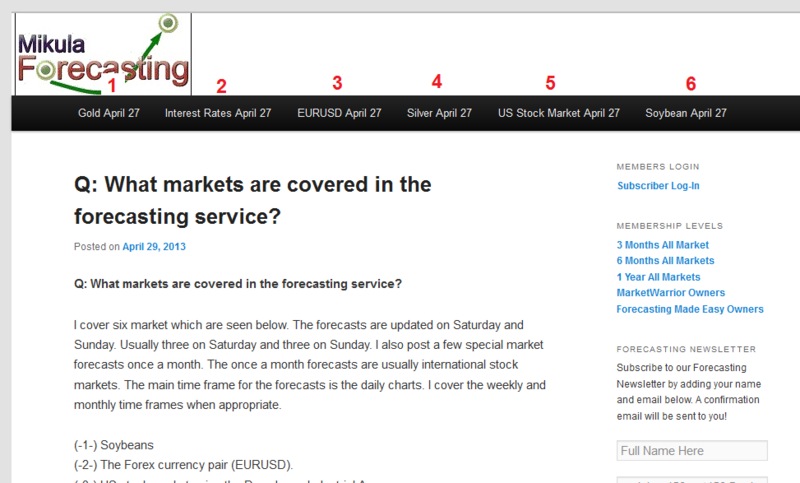 (-4-) To open the forecast service click the link at the top left that reads ‘Mikula Forecasting Service.’ This will take you to the version of our website for logged-in subscribers. (-5-) On the subscriber page the menu items listed across the top of the page are different. 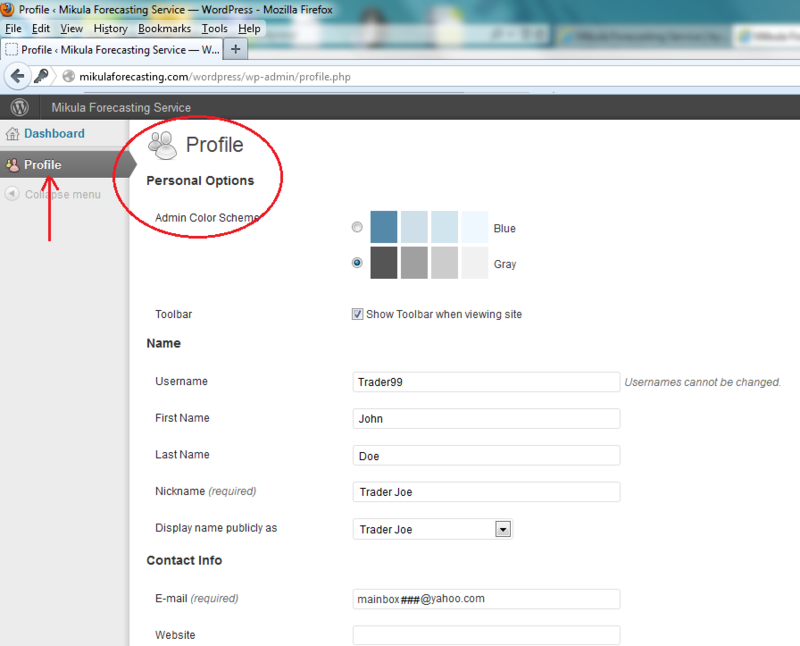 We have one drop down menu for each market we forecast. You will also see the menu item “Membership Account.” . 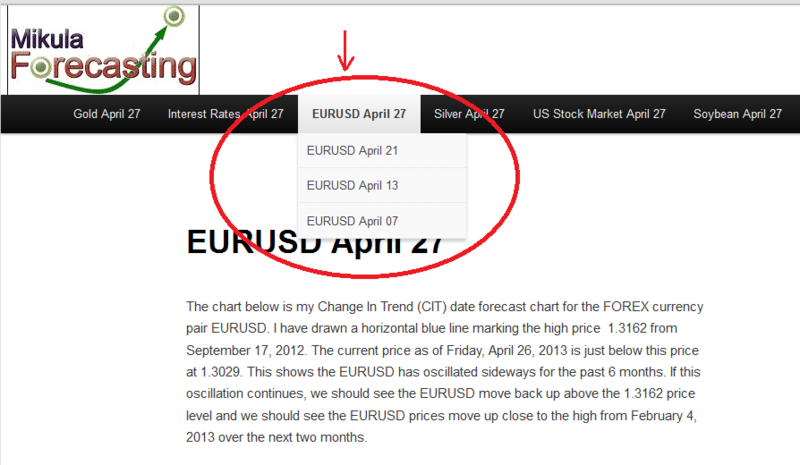 (-6-) The picture below shows the forecast menu for EURUSD dropped drop. The current forecast is always the top item. The back issues will be underneath in the drop down menu. This entry was posted in Public by Patrick Mikula CSA. Bookmark the permalink.